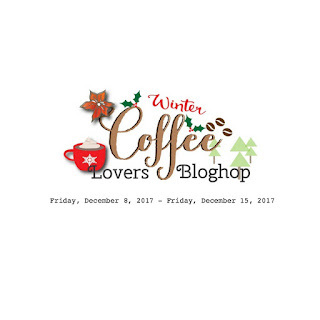 I had grand plans to make lots of cards for the Winter Coffee Lovers Blog hop but life kind of got in the way! I did get a chance to make two cards (so far) so I'm going to share one of them with you today. I actually needed a birthday card for my sister who loves coffee so this was the perfect opportunity to kill two birds with one stone! This bear is just the cutest thing. 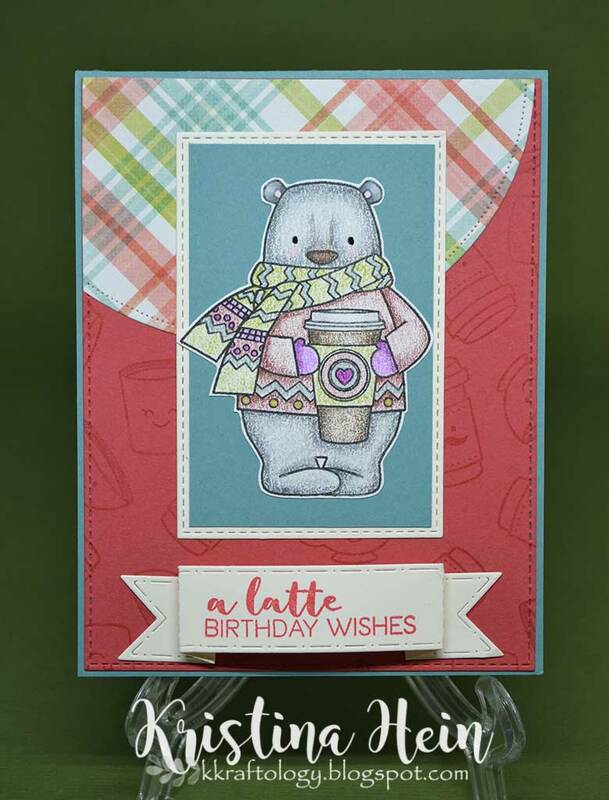 He is from Darcie's Yeti to Party Stamp set that I picked up in one of my recent shopping sprees from Butterfly Reflections Ink. I colored the bear with Prismacolor colored pencils and used the plaid paper to direct my color choices. I felt the reddish paper needed a little something so I stamped an assortment of coffee cups from the Lawn Fawn Love You a Latte set. I just had to add the little smiley faces too! I misplaced my notes so I don't recall which one of my many coffee sets the sentiment came from. OMG... adorable! Awesome image and beautiful coloring! She will love it! Just saw this posted on the Critter FB group and oh love this little guy! The pencil coloring is perfect on him (especially around his nose)! Thanks for hopping along with us! Darling card design. I love the layout, fantastic papers and that cute bear image. 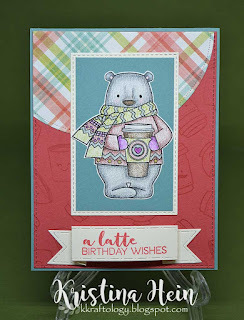 Oh yes, gotta love those cute Darcie's images...such a fun card! Ahha! So adorable and love the layout! Awesome job with your coloring. So cute. cute cute card. love this card and image. Kristina, this is so sweet. I love this little bear with his big cup of latte!